After sweeping the 2004 Oscars, Peter Jackson and Elijah Wood skipped all official celebrations in favor of attending a Lord Of The Rings fan party. 2. When Three Six Mafia beat out Dolly Parton to win the 2006 Academy Award for Best Original Song, Dolly was thrilled, and personally sent a congratulatory letter, "We're proud of you guys, and I'm just glad that the Oscar came back to Tennessee one way or another!" 3. The shortest Oscar speech ever was given by Patty Duke in 1962 at the age of 16. She was the youngest person to accept an Oscar in a competitive category, said "Thank You", and walked off the stage. 4. Katharine Hepburn is the only actor/actress to win the Best Actor/Actress Oscar four times. 5. Sacheen Littlefeather was sent by Marlon Brando to decline an Oscar in protest for the treatment of American Indians by the film industry, was given 60 seconds maximum to make her speech or be arrested. When Charlie Chaplin received his honorary, Oscar, he received a 12-minute standing ovation, the longest in Oscar history. 7. Sandra Bullock was the first person to win a Golden Raspberry Award (given for worst film) and an Oscar in the same weekend. She collected both. 8. A doctor named Haing Ngor survived four years of genocide under the Khmer Rouge by pretending to be uneducated. After moving to America, he starred in a movie as a man faking stupidity to survive the Khmer Rouge. He won an Oscar. 9. Robert Lopez, co-writer of Let It Go from Frozen, co-created and co-wrote Avenue Q and The Book Of Mormon, guest wrote a South Park episode, wrote four songs for the Scrubs episode My Musical, and is one of 12 people to have ever won EGOT: an Emmy, a Grammy, an Oscar, and a Tony. 10. Mel Brooks is one of the few people to have won an Oscar, an Emmy, a Grammy and a Tony. George C. Scott refused to accept the Academy Award for Best Actor in 1971, and described the Oscar ceremony as "a two-hour meat parade". 12. When asked about his relatively low-profile film career after winning the Oscar with 'Amadeus', F. Murray Abraham (Salieri) said, "Even though I won the Oscar, I can still take the subway in New York, and nobody recognizes me. Some actors might find that disconcerting, but I find it refreshing." 13. The Budget for the Makeup of Dallas Buyers Club was $250. The film would go on to win the Oscar for Best Makeup. 14. Anna Paquin went to an audition of "The Piano" because she had nothing better to do. Selected among 5,000 candidates for the role in "The Piano", she earned the 1993 Academy Award for Best Supporting Actress at the age of 11 making her the second-youngest Oscar winner in history. 15. In 2005, Kate Winslet joked that acting in a Holocaust movie guarantees an Oscar. Four years later, she won her first and only Oscar for her role in The Reader. 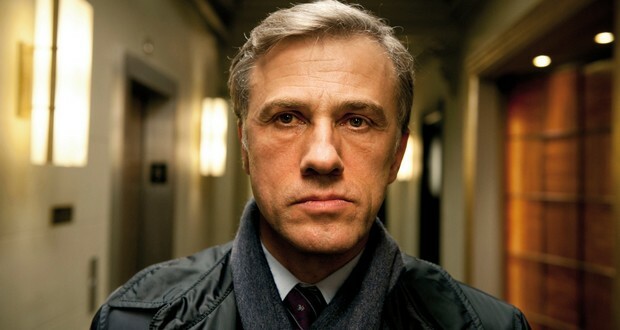 Christoph Waltz is the first and, thus far is the only actor to win an Oscar for acting in a Quentin Tarantino film. 17. As production for American Beauty began, DreamWorks approached twenty established directors, including several A-listers, all who turned down the project before they agreed to let Sam Mendes, a theater director, do it. It won Best Picture and Mendes won Best Director at the 2000 Oscars. 18. Forrest Gump beat 'The Shawshank Redemption' and 'Pulp Fiction' to win the Oscar for the Best Picture in 1995. Also, Tom Hanks beat Morgan Freeman and John Travolta to win the Best Actor in the same year. 19. Oscar winners must sign an agreement stating that should they wish to sell their statuettes, they must first offer them to the Academy for $1. If they refuse, they cannot keep their trophy. 20. Nobody is sure how the academy awards came to be called "Oscars". 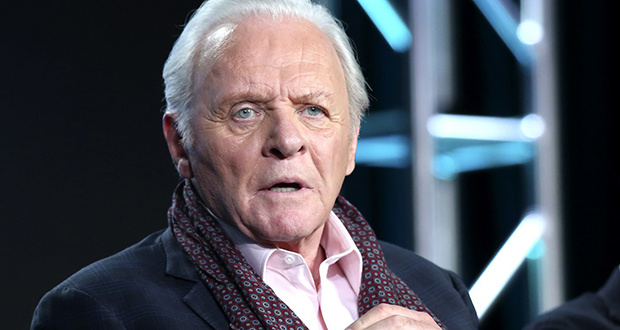 Anthony Hopkins won the Best Actor Oscar for 'Silence of the Lambs' with only 16 minutes of screentime. 22. Jim Carrey offered Nicolas Cage to co-star with him in 'Dumb and Dumber' (1994), however, Cage wanted to do a much smaller movie instead called Leaving Las Vegas. 'Leaving Las Vegas' (1995) ended up earning Nicolas Cage an Academy Award for Best Actor in 1996. 23. Kevin Spacey was originally slated to play the president in Independence Day. Studio executives insisted the part be rewritten for Bill Pullman because they felt Spacey was incapable of starring in blockbusters. He won his first academy award 10 months later. 24. Heath Ledger was the first actor to ever win an academy award for the portrayal of a character in a superhero movie. 25. Woody Allen's Oscar-winning script, "Midnight in Paris," began as just a title he liked for a film. So, rather than coming up with a title for a written film, he wrote the film only after coming up with the title; it took several months for the film's idea to come to him and fit the title.